In 1459 England is on the verge of civil war: the Wars of the Roses. A struggle for power at the heart of the royal court has fractured traditional allegiances, forging new and dangerous alliances. Richard, Duke of York, the most powerful nobleman in the land, has been cast adrift by the government of King Henry VI - a regime dominated by his queen, Margaret of Anjou. York and his allies, the father and son Neville Earls of Salisbury and Warwick, are ousted from all positions of influence and declared traitors. York is gathering his forces to test the queen's resolve by war. Against this background, local men of substance must consider what to do. They are guided by what is best for their own family and its future. They must seek to protect their lands and titles by choosing to support either the king or his leading subject, York - in other words by trying to back the winner. They have taken oaths to Henry VI but has he forfeited all allegiance by his weak government? Law and order seems to be breaking down in some places for locally, as on the national stage, men resort to the use of force rather than the rule of law. The Elder family are minor lords with modest lands in Yoredale - what we now call Wensleydale. Lord John Elder is a veteran of the French wars, long widowed with four children. Thomas, his heir, already takes the lead in family affairs while his younger brother, Ned, is barely eighteen but trained to fight and support Thomas. There are also two sisters: Emma and Eleanor. Since the early death of their mother, fate has led the two very different girls in opposite directions. Emma, a serious dependable girl who is now sixteen, has been pressed into service as her father's housekeeper from an early age. By contrast her sister, Eleanor, is a wild child, far out of the control of her father or indeed anyone else. Green-eyed with blood red hair, Eleanor takes after her dead mother: rebellious and quick to anger, yet passionate, loyal and brave. It is 1459 and the Wars of the Roses have broken out. Young Ned Elder, a Yorkshire knight, finds himself caught up in the civil war when his family is brutally attacked by their neighbour, Lord Radcliffe. For the Elders, nothing will ever be the same again: Ned is hounded across the land by the Radcliffes, his sister Emma is forced into a loveless marriage with Radcliffe's heir, whilst his younger sister, Eleanor, is confined to a nunnery. 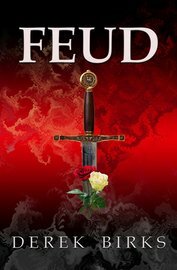 "From the eye-catching cover to the last page, Feud is an exciting story of survival through personal upheaval during a vicious war, where the outcome is not always certain." It is 1464. Ned Elder and his two sisters, Emma & Eleanor, have won a hard-fought peace and their feud with the Radcliffes seems long over, but one man never accepted the outcome. After three bitter years of waiting, he prepares to take his revenge. 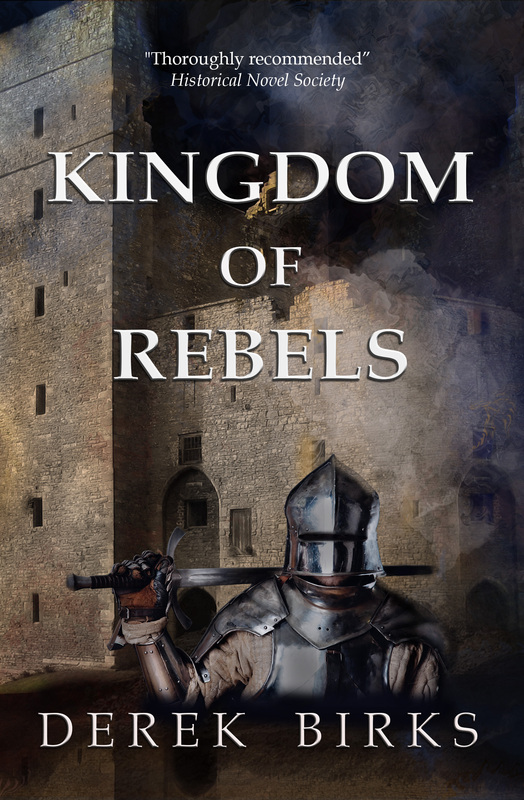 Ned is summoned by the new king, Edward of York to confront a Lancastrian revolt, but he finds his enemies are not just amongst the ranks of the rebels. 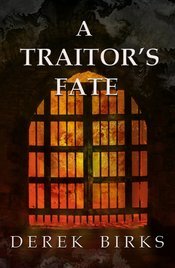 Branded a traitor, Ned is is forced to flee and the price on his head only rises when he stumbles upon a royal secret. A condemned man, Ned must find a way to escape his pursuers or else the whole Elder family will be destroyed. "The author has done a superb job in creating a page turning, drama filled tale." England in 1468 is a nervous kingdom. King Edward IV has fallen out with his chief ally, the powerful Earl of Warwick. Ned Elder, a young lord whose sword helped to put Edward on the throne, has been forced out of England by Warwick. Far away on the Scottish border, a beleaguered fort, Crag Tower, desperately awaits Ned’s return. Led by his fiery sister, Eleanor, the dwindling garrison is all that remains of his brave army of retainers. Unknown to all except the loyal Ragwulf, Eleanor has Ned’s young son in her charge - a son who has never seen his father. But, as border clansmen batter the gates with fire, the castle seems certain to fall. It is July 1469 and England is at peace. For Ned Elder, it should be a time of recovery and renewal but a revolt breaks out against King Edward IV and he calls upon Ned to help restore order. Ned suspects that Richard Neville, Earl of Warwick and the king’s own brother, George, Duke of Clarence, are behind the new troubles. His fears prove well founded as the kingdom spirals towards civil war. Once again, Ned and his sisters, Eleanor and Emma, come under attack from rivals old and new. Into the turmoil of rebellion steps Robert Radcliffe, Warwick’s man, and a former enemy of the Elders. He offers to help Emma, but how far can she trust him? The bitter struggle between King Edward and his enemies must be settled in blood upon the battlefield where the victor will take the crown of England. But does Ned Elder have the stomach for yet another fight? Divisions in the Elder household threaten its very survival. Can the Elders be reunited or will the family destroy itself from within - and who among the Elders will emerge unscathed from the bloodiest crisis of the Wars of the Roses? 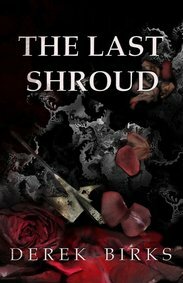 "The end of The Last Shroud, and this excellent series, left me quite bereft of Ned's company and Mr Birks' talent for writing a good story." Discovering Diamonds Review Blog.